The first ever Batam Football Festival was held on 10 – 11 February 2018 in Batam, Indonesia. The event saw an estimated 180 kids participated and benefited from the 2 days festival. 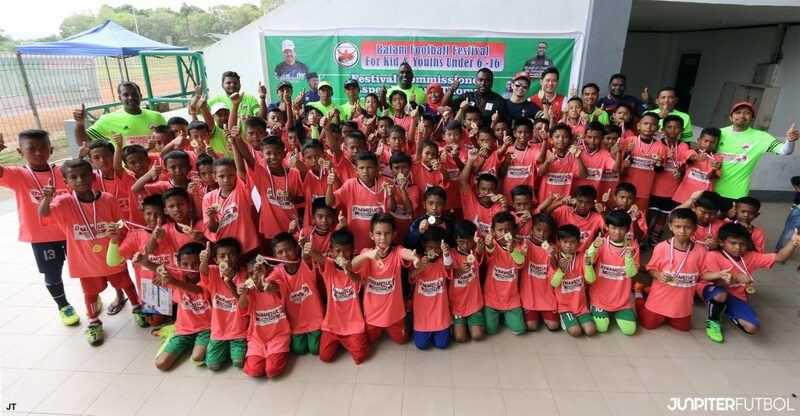 This initiative was conceptualized and organized by Singapore’s Jasper Richard Thomas, an AFC certified football coach and his team of football coaches from Singapore, as well as Madam Yora and many other local coaches from Indonesia. 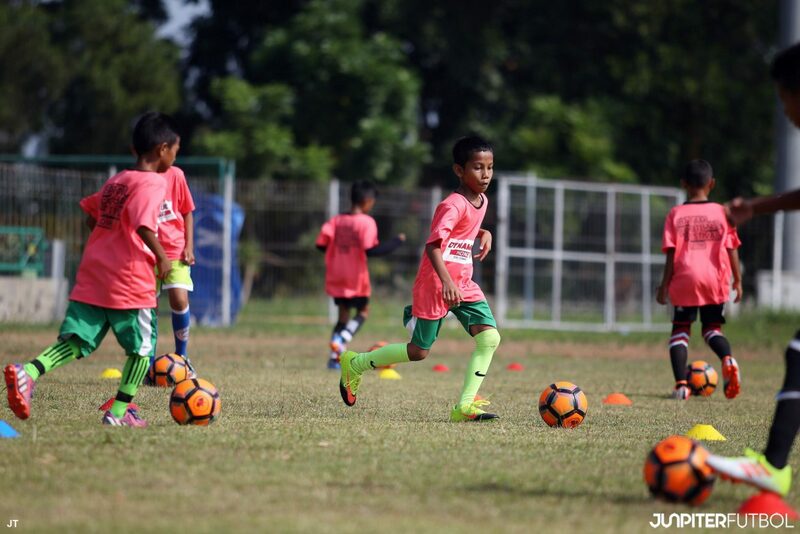 All the kids went through 2 morning of interesting learning sessions at Stadium Temenggong Abdul Jamal, Batam as they were put through a series of football drills such as shooting, dribbling, passing, ball receiving, goalkeeping and also small sided games. In fact, most, if not all the kids are training under qualified coaches for the first time too. “What we really want to achieve here is to introduce football to the kids who have never play the game before. We aim to use this first ever Batam Football Festival to provide these kids in Batam an opportunity to explore the beautiful game further. By going through the drills in every station, they might discover what playing position they really like. And of course, most importantly, we want all of them (kids) to enjoy the sessions and walk out of the field as a champion which is also our slogan for the Football Festival – Everyone is a Champion,” said Jasper. Despite the journey from Singapore to Batam is slightly less than an hour by ferry, the effort in putting everything together to make the trip takes months. Recognized as one of the most active and qualified futsal coaches in Singapore, Jasper managed to gather 12 sponsors, including a drone pilot for media coverage, to make this event worked. Great support doesn’t end just on the monetary aspect, the attendance of Guest of Honor, Managing Director of Dynamique Konzepts, Mr. Selvakumar, Governor of Kepri Islands, Mr. Nurdin Basirun and Riau Islands Sports Minister, Mr. Maifrizon who took time off their hectic schedule, also graced the Football Festival. In his own words, Jasper commented. To read up more on Jasper Richard Thomas’ futsal coaching journey, Click Here.